I have performed throughout Western Pa, Northern West Virginia, Eastern Ohio, Baltimore, and Ocean City, Maryland. I have performed with Legendary oldies groups "The Marcels"and"Johnny Angel &The Halos". I am a member of the Pennsylvannia State Association Of County Fairs, and performed at festivals, community days, fundraisers, benefits, beauty pageants, car cruises, parades, clubs, churches, senior living homes, resorts, private events, Theatre's, and Casinos. My shows are very personable, and I pass out numerous scarves, during my show, and try to bring the energy that Elvis brought in all of his performances. I strive to keep Elvis' music alive for future generations to enjoy. Jim was a great entertainer. Adults and Kids thought it was a great show and very interactive. It was a pleasure meeting and performing/with for you, your family, and friends. It was a memorable night for both Debi and me. You all were a lot of fun! Take Care and Thank You Very Much!! 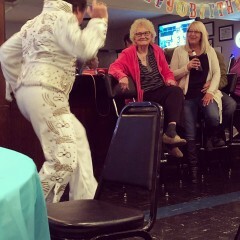 Elvis provided a surprise guest appearance for my wife’s 50th birthday. 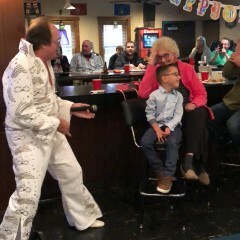 Jim played Elvis well, working the room and engaging guests, ages 12 to 60. All thoroughly enjoyed the performance, reliving the performance all night. Thanks, Jim. Thank you Kevin, for having me be apart of Cindy's Birthday, you all are a great group of people. Debi and I truly enjoyed you all and we had a lot of fun. Hopefully we great together again! I Highly recommend Jim Felix for parties!!! He was just fantastic. I honestly can't say enough wonderful things about him. He had the crowd thoroughly engaged, singing and dancing and having a blast. He is so personable and really made our party one to remember for a long long time! Thanks again Jim!!! Thank you Jill, for the great review, and for booking me for your Christmas Party. We truly enjoyed all of you yesterday, you are a great group, and I really enjoyed Dean Burke! Please tell him he is awesome, and he is welcome to sing with me any time! Jim Felix a great Elvis. He put on a great show and made my grandmas 80th birthday perfect! It was a pleasure meeting, performing and spending time with you all! We hope that Kay had a special day! Jim was invited to entertain us for my Moms 80th birthday. He was fantastic! He put on a great show for us and made Mom feel very special. We all had a lot of fun participating and singing along. She said it was her best birthday yet and she wants him back every year. Highly recommend him. We had a great time performing at Ora's 80th birthday party. You were right Ora is a hoot, and you have a fantastic family. It was a pleasure meeting you all, and thank you for allowing us to be apart of Ora's day! If you all are on facebook, be sure and look me up, as I said yesterday, I have friends, not fans, and you all are considered friends. Between there and my reverbnation site, is also the easiest way to keep informed as to where I'll be. We hope to see you all again soon, and please know your family will be in our thoughts and prayers! Debi & Jim Felix "Sounds Of Elvis"
He is absolutely amazing!!! It was the highlight of our event. What a show he puts on and I love how he involves his audience. I plan on having him many more times at our events! It was a pleasure seeing and working with you again. We had a great time and look forward to seeing and working with you again. Sounds just like Elvis with all the moves! Jim did a fantastic job! Jim sounds just like Elvis and has all of the moves! He and his wife were very professional and cooperated in keeping his performance a surprise. Everyone at the bachelorette party had a fantastic time and enjoyed the performance. I would definitely recommend him. Thank you Lori, for having me perform for the bachelorette party. You, your family and friends are a great group of ladies, and Deb and I, had a great time with you all! Take care and hope to see you all again! "Sounds of Elvis" was AWESOME!!!! What a GREAT show! Jims voice sounds JUST like Elvis! He is very personable and a great performer. Loved the audience interaction! 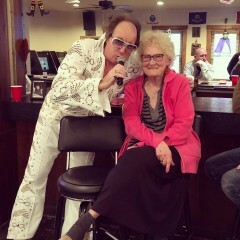 Jim made my aunt's 80th birthday a wonderful surprise! Jim and his wife are so down to earth and very nice. Would definetly recommend them!!!!! Thank you for having us be apart of Shirley's 80th birthday celebration! It was a pleasure meeting you, your family and friends, you all are great, and a very fun group of people, and we hope to see you all again! Great show, everyone loved it! Would book again. He made my grandmothers dream come true. 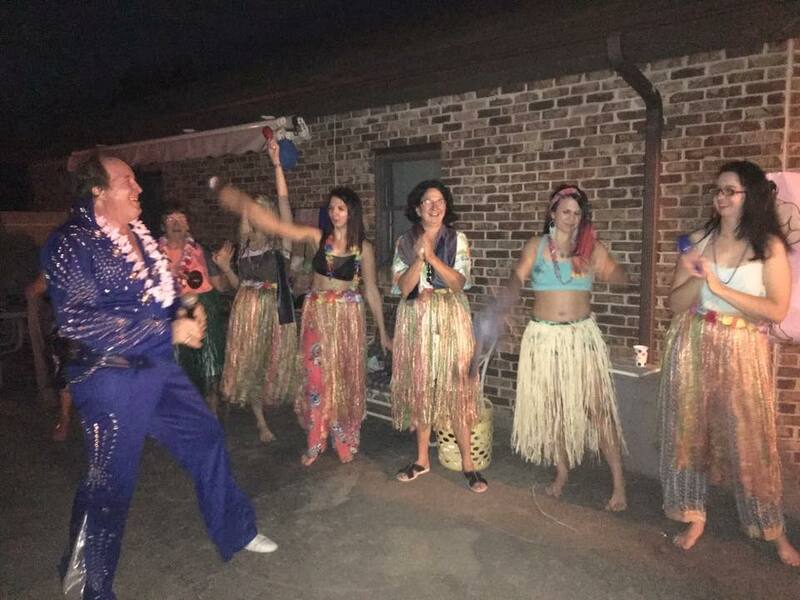 His performance was loved by all and transformed a normal party into a night of wonderful memories. Very responsive, flexible and easy to work with. Glad I went with Jim. So much to say in such a small spot! Jim made a 40th birthday party something special, one that we all had a fantastic time and will never forget. I personally never had the chance to see the "king" but he made us all feel like he was there with us, with a voice and show that was incredible. He made a set up for us with our favorite songs, worked with the "surprise party" that was planned, performed them like a true entertainer, and made us all feel like it was a show made just for each of us. Jim surpassed all of our expectations by a landslide. You have some great new fans in Ambridge and hope to see you again real soon! Thank you for the great feedback Chris, and for having us be apart of Rhonda's Birthday. We had a great time meeting, performing, and celebrating with you all. You are great people and hopefully we can get together again real soon! Take care... Jim Felix "Sounds Of Elvis"
Jim is a great performer that gives his all for every event! I have had the privilege of working with Jim twice over the past year. He is great to work with and his sound is spot on for Elvis. 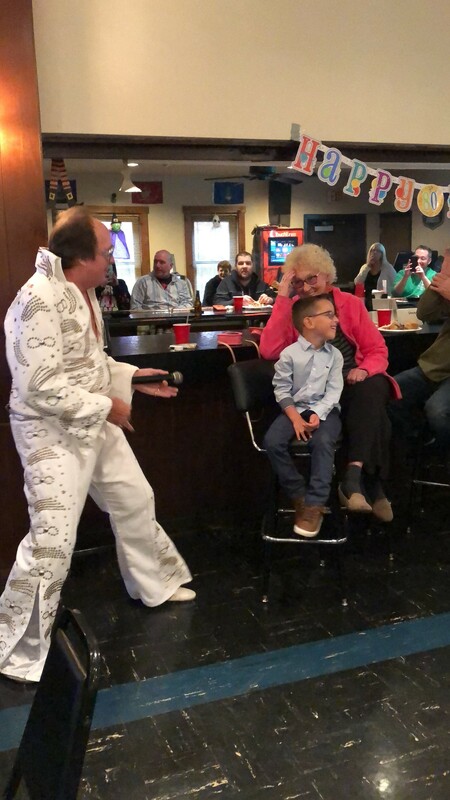 Jim is one of the best Elvis tribute artists you will ever hear - his voice is fantastic, he has complete command of the music, and audiences always respond to his warm personality and entertaining style. A total professional, an Excellent Entertainer! Thank you Buster for the nice review, it means a lot coming from an excellent entertainer as yourself, and someone that I truly respect as an entertainer, friend and person. 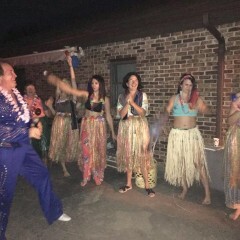 I hired Jim for my moms 80th birthday pary and everyone had a blast. Jim is a real people pleaser and everyone loved him, not to mention he does a great Elvis. My mom and her friends will be taking about this for a very long time. Im so glad I booked him for her party he made the event so memorable. Thanks again Jim. 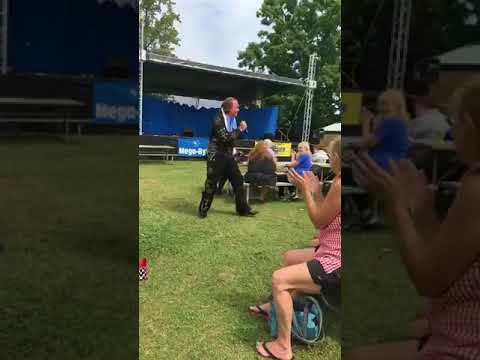 Thanks Jim for perfoming at my daughters graduation party. You were a big hit! My husband and I love adding a little something special at our parties for our guest to enjoy and you were that "something special". Everyone loved the show and they never stopped talking about it all night. You certainly made the party something to remember. 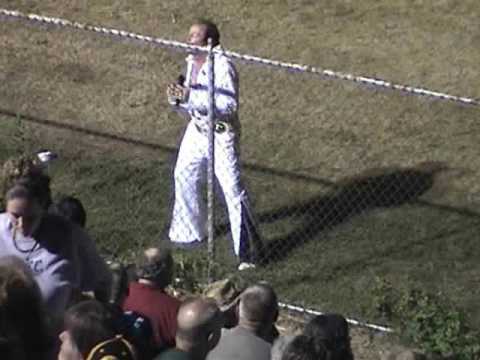 We all loved your Elvis rendition and the show was so entertaining. You are truly the "Sounds of Elvis". Thanks so much! An audience can expect to be truly entertained. 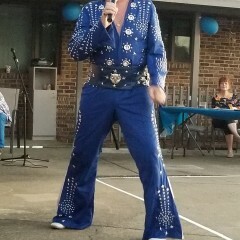 I wear authentic replica Elvis style jumpsuits. 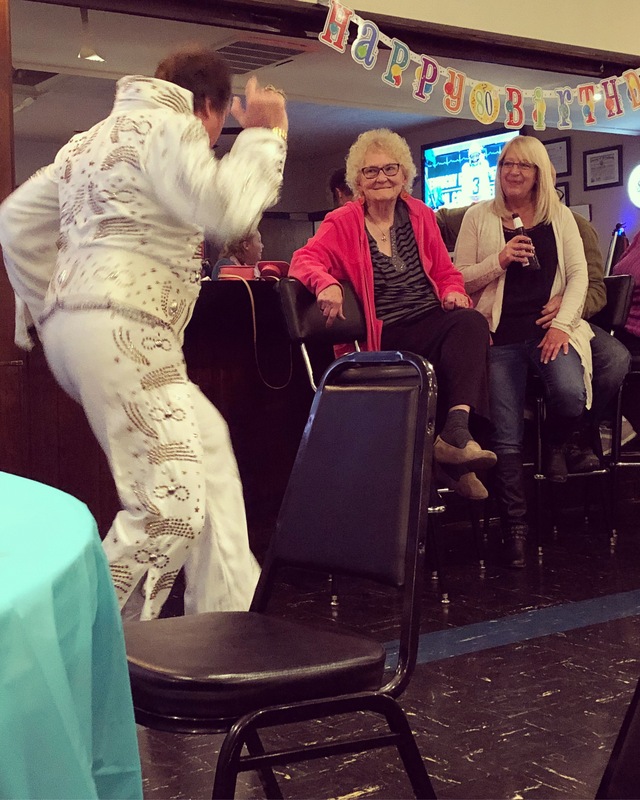 I promise you,with every song you will hear Elvis,and with all of the movement and mannerisms of a live Elvis concert. As many an audience member has stated " If you close your eyes, you would swear Elvis was there singing." A Client should know that I am very easy to work with, and have very minimal requirements. 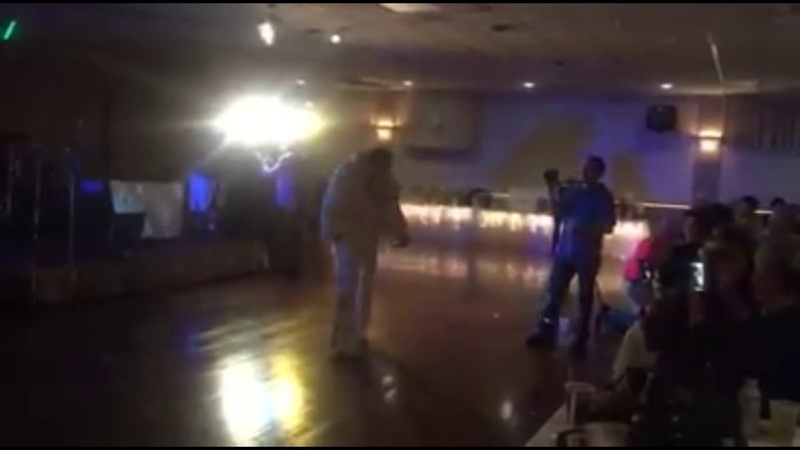 I am an Elvis Tribute Artist from Pittsburgh, PA. 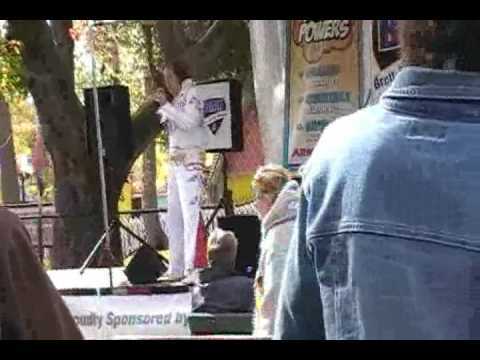 I have been singing Elvis' music all of my life, and I have been performing my “Sounds Of Elvis” shows since 2004. Over the years, I have performed with... Legendary Hall of Fame oldies group "The Marcels", and "Johnny Angel and The Halos" on numerous occasions. I was also honored to have Legendary Hall Of Fame DJ "Porky Chedwick" at a show of mine. 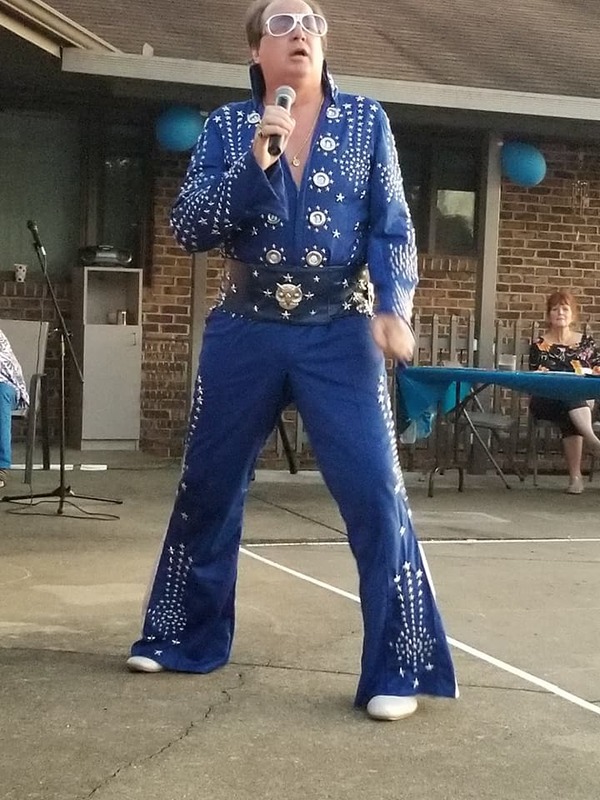 I've also performed "Jailhouse Rock' with the Granati Brothers (a Pittsburgh rock band that toured with Van Halen) at a Munhall Community Day show, and have worked various other local Tribute acts, and bands. I have performed throughout Western Pa, Northern West Virginia, Eastern Ohio, Ocean City and Baltimore, Maryland. I am a member of the Pennsylvania State Association Of County Fairs, and I have performed at fairs, festivals, community days, fundraisers, benefits, beauty pageants, car cruises, parades, clubs, firehalls, restaurants, churches, special needs, nursing and senior living homes, resorts, private events, Numerous events for Allegheny County Mayor' Association, Theatre's, and Casinos. My shows are very personable, and I pass out numerous scarves during my show, and try to bring the energy that Elvis brought in all of his performances. I don't wear a wig or dye my hair as other artists do, due to a promise that I made to my mother before she passed away, when I first started. Once the audience hears me, and sees my show, I've found out that the hair color doesn't really matter. 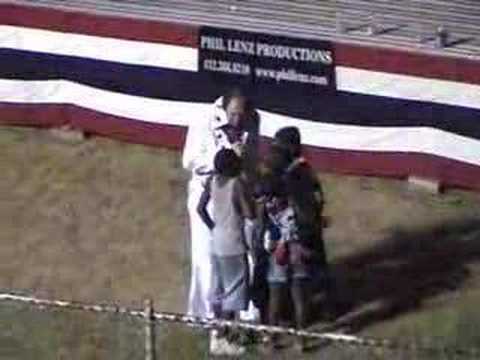 They rather hear Elvis...I strive to keep Elvis' music alive for future generations to enjoy. Basically, I can work with any situation. I can work with a sound crew or use my own system. My only requirements are a clean, private place to change into my jumpsuits. A small table that will hold my 2'x2' equipment system box, and I ask about a week before the engagement that the client call with an rough estimate of the number of people expected for the show, so I have an idea as to how many scarves will be needed. That is basically it. July 06, 2019 • 7:00pm - 8:30pm PACOC "People In The Park"
January 12, 2019 • 7:00pm - 9:00pm Rumor's Bar & Grill Present "Sounds Of Elvis"
October 06, 2018 • 2:30pm - 3:30pm PACOC Fall Festival - Jim Felix "Sounds Of Elvis"
December 31, 2017–January 01, 2018 • 9:00pm - 1:00am "Ring In The New Year With The Sounds Of Elvis"
July 01, 2017 • 7:00pm - 8:30pm Andover Chamber Of Commerce "People In The Park"
June 30, 2017 • 6:00pm - 8:00pm The 215 Restaurant Presents Jim Felix "Sounds Of Elvis"
I sing all of Elvis' songs, and every show has its own set of music, so no two shows are ever the same. Clean, Private place to change, a small table for 2'x2' equipment box to set on near an electrical outlet.